My car was parked near my house the other night, and the next morning I was greeted with a smashed tail light cluster and some bumper damage. Was there a note to say sorry? No there was not. New figures from a trusted source in the UK, reveal that only 3 percent of motorists whose vehicles were damaged while parked had been left any contact details from the other party. Perhaps not surprisingly, car door dents were the most common damage to parked cars with nearly two-thirds of motorists reporting this type of damage. Paintwork scratches or key lines accounted for 61 percent of damage, while 32 percent of motorists surveyed returned to their vehicle to find wing mirror damage. Other damages included deflated tyres - 3.6 percent, and graffiti - 1.4 percent. But it’s not just damage while the car is parked that’s worrying drivers. According to a poll of nearly 1,000 motorists, the state of UK roads and the effect on vehicle condition is also a cause for concern. Over two thirds blame potholes for noticeable or significant damage to their car. And more than half think speed humps are responsible for noticeable or significant damage. So there you are. It is not just in Thailand that we drive on pot-holed roads and get parking damage. Well, we learned (yet again) that some of the FIA rules and regulations are just stupid. Take Hamilton and Button in the McLarens. Both had their gearboxes changed, but only Button got the five grid place penalty. Reason? Hamilton’s failed during the race, so no penalty. Button finished the race with his, but it was changed as it was showing early signs of failure, so penalized. Hulkenberg (Force India) wiped his gearbox off in a crash in the practice sessions, so got a grid penalty as well. For many spectators, the interest in the Japanese Grand Prix ended on the first corner with Alonso (Ferrari) out with a puncture after being nailed by Raikkonen (“Lotus”), Webber (Red Bull) run into by Grosjean (“Lotus”) whom he described as “the first-lap nutcase again” and ending up at the tail of the field and Rosberg (Mercedes) run into by Senna (Williams) and retiring on the spot. Quite frankly, I thought it was a boring race. The Finger (Vettel, Red Bull) streaked away and was never likely to be challenged by anyone other than Webber, who was driving at the wrong end of the field. With Alonso out, Ferrari’s fortunes were in the hands of Felipe Massa who lucked his way through the first lap carnage and settled into second place which he held till the end, giving the little chap his first podium in two years. If he keeps that form going he might (just might) get a reprieve and another contract for the next 12 months. And did you notice that it had been so long for Massa that he forgot when he was supposed to spray the champagne. The ‘star’ of the race was undoubtedly Kamui Kobayashi (Sauber), his third place being only the third time a Japanese driver has ended up on the podium. He claimed third after the first round of pit stops and did not have to fight for the position until the last two laps when he was being harried by Button (McLaren). Button had a lonely race, looking at the tail of Kobayashi, and if he did pass anything out there it was probably wind and went unnoticed by the TV cameras. He did (again) finish in front of his Mercedes-bound team mate whose race was far from memorable, though he did re-pass Perez (Sauber) after falling asleep and leaving the door open a few laps earlier. After tagging Alonso at the first corner, Raikkonen was another lonely racer who showed a reasonable turn of speed, but definitely no ‘fire’ from the ‘ice man’. Those who are likely to become high jumpers at the end of 2012 remain Senna, Karthikeyan, Petrov and Vergne, with scrutiny being placed on Massa and Grosjean, Webber’s favorite nut case! Finally, great day for Japan, but not for most of the F1 circus. Highlights were Schumacher’s push to 11th after starting 23rd and Webber’s fight back to 9th from the very tail of the field. Not much else, I am afraid, and no passing in the shortened DRS zone. 53 passing maneuvers last year and probably half a dozen if we were lucky this year. Somebody got the DRS equation wrong. Let us hope that Korea will be better. Much excitement in the popular press about the possibility of Thailand having one round of the Formula 1 circus. 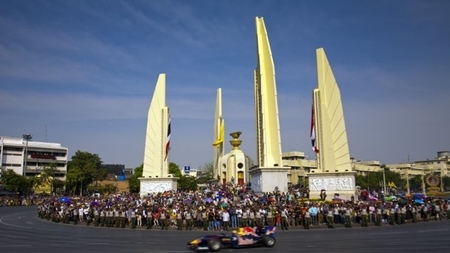 Thailand is aiming to join the Formula One calendar in 2014, according to Kanokphand Chulakasem, governor of the Sports Authority of Thailand. Kanokphand met with F1 supremo Bernie Ecclestone during the Singapore Grand Prix weekend where, the Bangkok Post reports, a deal was agreed in principle. But don’t get excited yet and look for pre-purchased tickets, Kanokphand added that the two parties had yet to agree upon a fee. And fees to just hold the race are exceptionally high. So high that many countries are talking about not renewing their agreement. How high? Well, you are looking at $40 million staging costs! Then fees of $60 million and up to $150 million. However, if that is decided and agreed upon, Tourism and Sports Minister Chumpol Silpa-archa has stated that the Thai government would shoulder 60 percent of the total cost and the rest would be paid by private companies such as Red Bull and Singha. Toyota was named the world's most valuable automotive brand for the ninth year running in the recently published Best Global Brands report 2012, compiled by Interbrand. 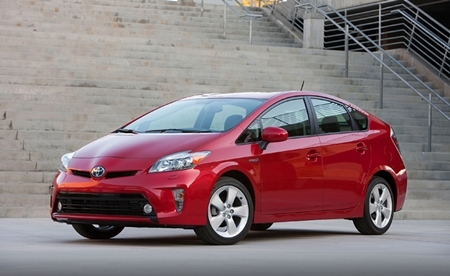 This year’s report sees Toyota’s brand valuation improve by 9 percent to over $30 million. The brand secured 10th position across all industries (not just the auto industry), an improvement of one place over 2011. According to Interbrand, Toyota's success is due largely to excellent customer service, an impressive line-up of environmentally friendly products such as the Toyota Prius, and a strengthening appeal with younger customers. One of the greatest tracks used in Formula One today, Japan’s Suzuka circuit is a massive test of car and driver ability. Built by Honda as a test facility in 1962, the track was designed by Dutchman John Hugenholz, the Hermann Tilke of his day (but don’t let that put you off). A huge theme park was also constructed at the track, including the famous big wheel which dominates the Suzuka skyline. At Suzuka the race has provided the scene for many nail-biting end-of-season deciders, including the infamous collisions involving Alain Prost and Ayrton Senna. This week, will it be Pastor Maldonado, Romain Grosjean, Michael Schumacher (again) or Felipe Massa in the colliding business? 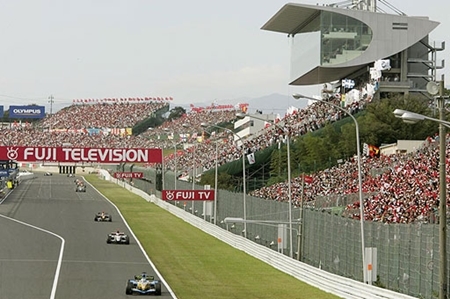 Suzuka includes some of the Grand Prix calendar’s most challenging corners. Among the drivers’ favorites are the high-speed 130R taken at over 300 km/h and the famous Spoon Curve taken at 140 km/h on the way in and coming out at 180 km/h. With the results from Singapore still in everybody’s minds, will Suzuka be a firecracker or a fizzer? With a circuit that encourages passing, it would have to be a better race than Singapore, and I don’t care how many “celebrities” Bernie invites. Now, important - with the time differential between here and Japan, the race on Sunday starts at 1 p.m. Thai time. The move to quiet, eco-friendly vehicles has brought a new aspect to vehicle/pedestrian safety. The new cars are so quiet, pedestrians are not alerted to an oncoming vehicle as the engine/exhaust noise is no longer there! However, Harman, the premium global audio and infotainment group has announced that a major European-based automaker will be integrating Harman’s exclusive HALOsonic™ External Sound Synthesis (ESS) solution in a line of plug-in hybrid vehicles. This is considered to be potentially life-saving technology that generates sound outside the vehicle, particularly targeted at hybrid or electric vehicles that are virtually silent at low speeds. The HALOsonic ESS solution generates a synthesized sound, dependent on speed and direction, and projects it from an exterior mounted speaker, giving an early identifiable warning to pedestrians that the car is approaching. The sound is projected only in the direction of travel, fading away almost instantly once the vehicle has passed. A synthetic engine ‘idle’ sound is also produced when the vehicle is switched on and placed in gear. Several countries such as USA, Japan and parts of Europe have either implemented or are currently reviewing legislation to state that hybrid and electric vehicles must emit a recognizable sound above a minimum noise level to help improve pedestrian safety. In addition to safety benefits, Harman offers a range of audio-based solutions under the HALOsonic banner that also help produce more environmentally-friendly cars beyond only hybrids or electric cars. Vehicle manufacturers are striving to meet new environmental and emission standards by a variety of means including, for instance, lowering vehicle weight by reducing the amount of noise-dampening insulation in a car’s headliner. In doing so, cabin noise often increases. Harman’s HALOsonic solutions can produce sounds not only external to the vehicle, but generate noise-cancelling sound inside the vehicle that helps meet environmental goals while increasing driver comfort. Noise cancelling sound should be compulsory at Thai Karaoke parties! In reality all growth figures in 2012 are heavily influenced by the exposure to the 2011 earthquake/tsunami and flooding disasters - it will be really interesting to see how these figures will look like 12 months from now, when the flood impacts have disappeared and we can see the true performance of the OEMs in Thailand. Saw an interesting table in the financial pages the other day. Thailand ranks as number 15 in the vehicle manufacturing nations, but Iran is number 13! Number one is China at 18.5 million vehicles in 2011, followed a long way back by the US at 8.6 million. The UK, which used to be one of the major car manufacturers, now languishes down at number 14 at 1.5 million, edging out Thailand at 1.4 million. But Iran better than us! It turns out there are 13 public and privately owned automakers in Iran, of which two - Iran Khodro and Saipa - accounted for 94 percent of the total domestic production. 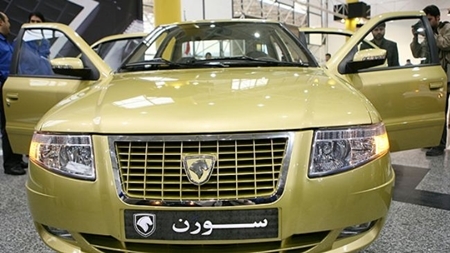 Iran Khodro, produced the Paykan, which was replaced in 2005 by the Samand, with 61 percent of the market while Saipa contributed 33 percent of Iran’s total production. Iran Khodro is one of the largest car manufacturers in Asia. It has established joint-ventures with foreign partners on four continents. Iran manufacturers six different types of vehicle, including passenger cars, 4WD, trucks, buses, minibuses, and pickup trucks. The sector directly employs about 500,000 people (roughly 2.3 percent of the workforce), and many more in related industries. About 75 percent of local output is passenger cars, with pick-ups the next largest category, accounting for around 15 percent. Almost the opposite from Thailand. In the Auto Industry? Think about Myanmar! According to latest research from Frost & Sullivan, Myanmar’s commercial vehicle segment is about to experience potential growth due to the many infrastructure projects and booming mining industry after the easing of sanctions imposed by Western markets against the country. As for buses, approximately 700 buses were newly registered in 2011 and the total number of buses will reach 2,600 units by 2016 thanks to the increase of passenger movements within the country as well as between neighboring countries. “Myanmar is an attractive destination for commercial vehicle manufacturers looking to enter the country,” Honda added. “However, the main challenge for foreign vehicle manufacturers is the affordability of their vehicles. Local companies may not be able to purchase brand-new commercial vehicles especially Japanese or European-made and will resort to second-hand vehicles.” Foreign firms will therefore probably be cautious about making any large investment due to the frequent regulatory changes. Most of the trucks currently used in Myanmar are imported from Japan, such as Nissan Diesel and Mitsubishi Fuso. “Second-hand vehicles of Japanese origin are popular even though they are older models, for example from 2004, because of their durability and reliability, while newer Korean and Chinese brands are preferred because of lower price tags compared to Japanese brands,” Honda continued. As of 2011 Myanmar has about 2.3 million registered vehicles, which include passenger cars, motorcycles and commercial vehicles. The motorcycle is the most popular mode of transport though and accounts for 81 percent of total registered vehicles. Meanwhile, passenger cars have a 12 percent market share, followed by commercial vehicles at 3 percent and buses at 1 percent. Vehicle importers play an important role in bringing in second-hand vehicles into Myanmar due to a lack of locally manufactured vehicles in the country. Before 2009, vehicle import had been restricted to limited companies such as a company owned by the Myanmar military, running multiple businesses such as manufacturing, trading and transportation. Since 2010, however, private companies have been allowed to import vehicles, resulting in more brands and types of commercial vehicles made available in the country. “Korean and Chinese brands have been gaining market share since then and are expected to increase further due to their lower pricing as compared to Japanese second-hand vehicles,” Honda concluded. So there you are - a business opportunity worth investigation. The phone number I gave with the article is apparently no longer operative. The new business number is 083 824 9500 and the website is www.replica-cars-thailand.com. Attila’s new number is 091 173 1954. The Ferrari P4 Spyder is finished and about the middle of October the Ferrari P 4 will be finished and the end of November a Lamborghini Countach is coming. This Ferrari P4 will be for rent in Pattaya. Toyota - the world’s most valuable auto brand? They make cars in Iran?